Within our business area Marine Resources we can offer a number of operating vessels consisting of a series of “multicat”/workboats, shoalbusters/tugs, jack-up/SEP and transport vessels specially designed to support a variety of Marine Services, including design, engineering and repair- and maintenance projects in the water or in its vicinity, as well as in the sector of renewable energy. All our workboats are available for hire on a daily basis or over the longer term. We focus on high quality which means that we ensure that our resources are maintained to the highest standard and is run by qualified and experienced staff to provide the best possible service. Several large government agencies are our customers. 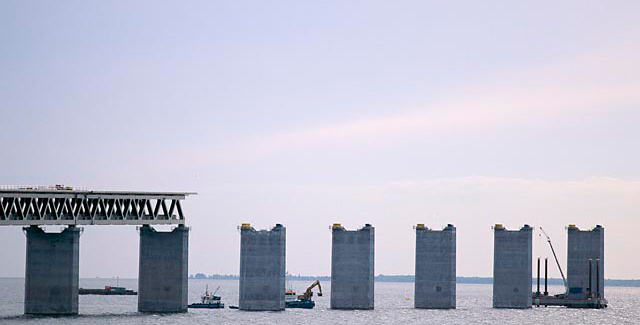 We help for instance the Swedish Armed Forces and the Swedish Fortifications Agency with status assessment- and maintenance, and new construction and refurbishment of bridges, piers, piles, wastewater treatment plants and facilities. Swedish Enforcement Authority hire us for boat salvage and destruction of boats and ships.